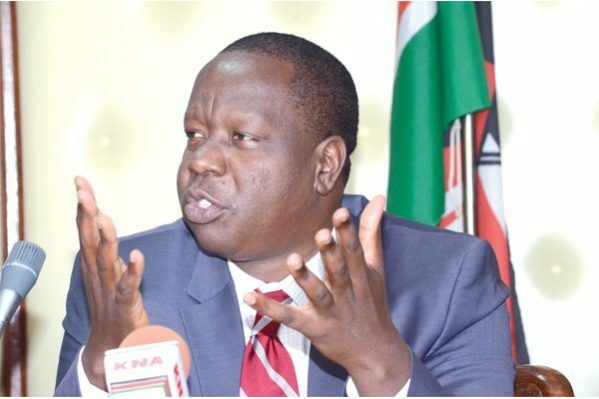 Interior CS Dr. Fred Matiang’i has been challenged to convene a meeting and unite leaders from warring communities in the North Rift region to address insecurity challenges. The Counties affected by insecurity cases and the national government have been urged to cooperate and convene a meeting to stop any wrangles. Speaking at Sarimach area during a peace meeting, West Pokot woman representative Lilian Tomitom called on the government to establish the root cause of insecurity witnessed in the North Rift Counties. Tomitom asked CS Matiang’i to work with leaders from the region and engage them in a dialogue to bring to an end the escalating insecurity in the area. “We want Dr. Matiang’i to call all the leaders from the region so that we can send them to go and talk to their people for peace to be realized. We want the problem addressed as leaders from Turkana, Elgeyo Marakwet and West Pokot,” she said. She said that leaders from the region should be incorporated in security matters and peace-building, “Since we were elected, we’ve never met with leaders from warring communities. Matiang’i ought to listen to grass root leaders who understand the insecurity issues,” she said. She further urged the government to facilitate and empower the elders, peace crusaders, leaders from the region to pursue dialogue to end insecurity. West Pokot Governor John Lonyangapuo has also called on leaders from warring communities to support peace efforts.